We are the official distributor for JCB products in Sarawak and Sabah. Reservoir Link is a Petronas-approved vendor, specializing in well-perforating services. Pansar Berhad owns 20% equity interest in Reservoir Link. Mail sent successfully. We will get in touch with you shortly. 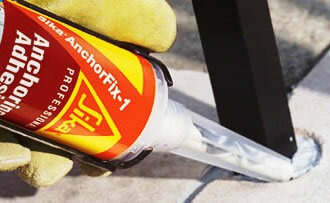 Grouting mortars are free-flowing, high-strength cement or synthetic resin-based mortars used for filling of voids under machines and other structural elements as well as for the grouting of anchors. The particular characteristics of such mortars are optimal flowability without segregation, high early strengths and low shrinkage.